In 1984, I was 33 years old. I was arrogant, judgmental, narcissistic and very full of myself. I was not as interested in justice as I was in winning. To borrow a phrase from Al Pacino in the movie "And Justice for All," "Winning became everything." After the death verdict in the Ford trial, I went out with others and celebrated with a few rounds of drinks. That's sick. I had been entrusted with the duty to seek the death of a fellow human being, a very solemn task that certainly did not warrant any "celebration." Glenn Ford deserves every penny owed to him under the compensation statute. We are simply incapable of devising a system that can fairly and impartially impose a sentence of death because we are all fallible human beings. The clear reality is that the death penalty is an anathema to any society that purports to call itself civilized. He is right, of course. But that is almost beside the point. Ford's conviction was due far less to Stroud's willful blindness than the fact that it occurred in a system where a man facing the death penalty could be defended by lawyers who lacked experience in defending criminal cases. That they had never handled a jury trial before was the cherry on top. It's the equivalent of delegating a complex, high-risk spinal surgery to a just-out-of-med-school urology resident, and then chalking up the negative outcome to God's will. Stroud's apology acknowledges the realities of criminal prosecutions throughout the country, local, state and federal, be they death penalty cases or run of the mill, low-level felonies. They are driven by facts that are often from questionable sources, and are handled by human beings, replete with all the failings and shortcomings innate to our species. A desire to win that distorts one's sense of doing justice, a view of a criminal prosecution as a competition in which carrying the verdict trumps all else, an absence of perspective and understanding of the process as being larger than the individual, are all inevitable within our criminal justice system. That people are wrongly prosecuted and convicted should come as no surprise, particularly given the number of exonerations that have come to light in recent years. That there are untold numbers of innocent men and women rotting in our penitentiaries cannot be seriously disputed. That innocent men and women have no doubt been put to death by our machinery of death is equally certain. 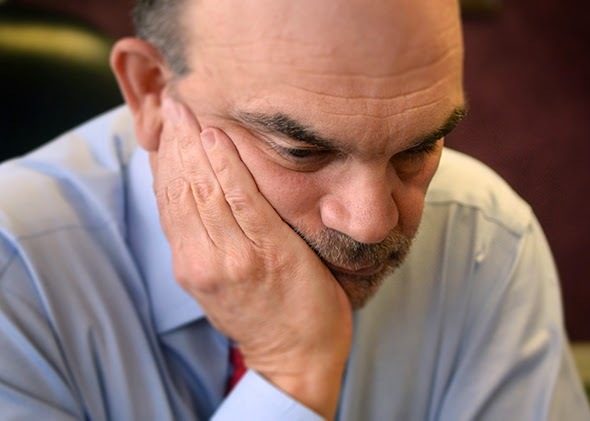 Marty Stroud's deeply felt and moving apology raises many questions, not the least of which is what can we do to help guard against such travesties of justice going forward. Ultimately, those on our side of the fence can do little but protest and rail on about individual injustices. Barring a willingness to by those in power to implement institutional change, history will no doubt continue to repeat itself, without regard for all the other Glenn Fords and Marty Strouds in its path.